Army Chief Bipin Rawat’s grand plans need course correction in order to succeed. 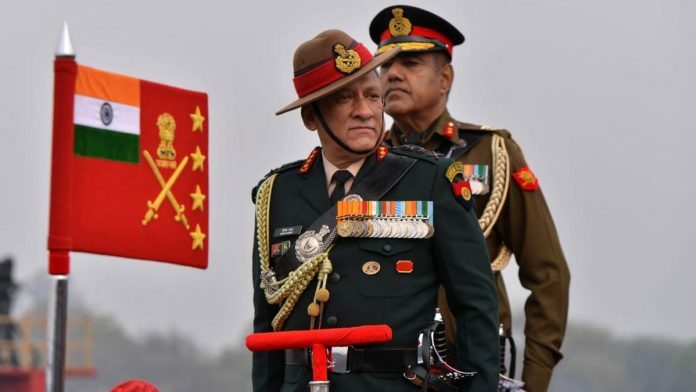 While Indian Army chief General Bipin Rawat has planned a virtual transformation with ambitious military reforms, they may misfire given the fundamental flaws in his approach. Such reforms have been pushed after four decades—and deserve course correction in order to succeed. In this piece, I discuss the flaws and how General Rawat can prevent his transformation from being a non-starter. The process of military reforms is a continuum with reviews necessitated by emerging threats, changing patterns of conflicts and new technology. When the change in these factors is very radical, it calls for transformation or Revolution in Military Affairs (RIMA)—an all encompassing military theoretical hypothesis about the future of warfare connected with technological, structural and organisational changes to enable the armed forces to fight wars of the future. General K.V. Krishna Rao and General Sundarji planned transformational reforms in the late 1970s which were largely executed in the 1980s. The political and military leadership were on the same wicket and the required budget was made available. What the Indian Army is today is based on these reforms, even though due to subsequent budgetary constraints, 15-20 per cent of the objectives are still to be achieved. General Rawat has taken it upon himself to ‘sell’ the reforms not only to the Army’s rank and file, but also to the media, defence analysts and veterans. He has tasked his top brass with discussing, analysing, formalising and, where necessary, testing the envisaged reforms. Four time-bound studies are nearing finalisation to make recommendations with respect to the creation of an agile and operationally effective field force capable of fighting a hybrid war across the entire spectrum of conflict. The agenda includes the restructuring of the Army Headquarters, maintaining a youthful profile for the officer cadre, and formulation of optimum terms of engagement and colour service for Junior Commissioned Officers (JCOs) and Other Ranks (ORs). It is premature to speculate about the final recommendations but the hierarchy is committed to downsizing/rightsizing the Army by shedding 1,00,000 – 1,50,000 soldiers to reduce the burden on the revenue budget. By far the most far-reaching reform is envisaged in restructuring of the field formations. Divisions and Brigades, part of the conventional armies for 200 years, are being merged to create mission and terrain specific all-arms Integrated Battle Groups which will operate directly under the Corps Headquarters. Logically, reforms with respect to national security are a top-down process—they begin with a ‘strategic review’ carried out by the government. This leads to the formulation or revision of the national security strategy encompassing all measures, diplomatic, economic and military, the government needs to undertake to secure the nation. The government then budgets and creates the wherewithal to implement the national security strategy. For the military, it formulates the force development strategy. In consultation with the armed forces, the government decides the broad size and composition of the force, budgets for it, and leaves it to the military to develop the strategy. Transformational reforms for our elephantine army have been a subject close to my heart, in and out of the Army. I salute the Army chief for initiating the process for RIMA. However, there is a fundamental flaw in his approach and all his efforts will come to naught if course correction is not carried out. If RIMA is to succeed, it must be government-owned, tri-service in nature and the defence minister should be its prime mover. Without a formal national security strategy on which is contingent the force development strategy and firm long-term financial commitment from the government, RIMA is non-starter. In our case, none of these aspects is formalised and, financially, RIMA is not on the government’s radar. When you downsize/rightsize to reduce manpower, it has to be replaced with high-end technology—a costly exercise. Therefore, in the absence of the above prerequisites, General Rawat’s plan will remain a standalone exercise for internal restructuring/reorganisation without technology infusion and nothing more. In the last six months, despite endless coverage of the RIMA in the media, not a word has been spoken on the subject by the otherwise outspoken defence minister or the defence secretary who virtually functions as a de facto Chief of Defence Staff and is ‘responsible for the defence of India and the Armed Forces’, as per the Government of India (Transaction of Business) Rules 1961. Also read: Indian Army reforms: Cutting administrative flab or needless downsizing? However, there is a silver lining. Militaries rarely initiate reforms to reduce their size, even though they continue to clamour for higher budgets to modernise. The three chiefs must work together to make the RIMA a tri-service venture and prevail upon the government to own it. General Rawat’s earnest endeavour has also provided the media, public, defence analysts and the veterans with an opportunity to exert pressure on the government to initiate national security reforms. We must not let this opportunity slip by. What was Gen Panag’s contribution to the army. Apart from side profile photos of officers, physical fitness and conducting physical tests at high altitude. Any visionary steps taken then. Zilch. But its so easy to find faults. The Rawat Doctrine is purely theoritical. Organisational changes are required based on operation requirements. What has changed and in which ops , that Gen Rawat wants to change the present structures which is time tested and evolutionary in nature? Nothing! Hence, why even talk of changes just because you are failing even in providing basic upgrades in the armed forces? Talking of RIMA, why template Chinese philosophy which is no where applicable to India where we are not even sure what we want the Army for? Are we forgetting the lessons from the last time we saw a similar “lean and mean” army concept of one of our chiefs which gave nightmares to the commanders on ground who did not find sufficient troops to man even weapon stations during OP PARAKRAM! possibly NOT due to military but other compulsions. I think if there is no budjet, then all soldiers should be sent back to home……. There is budjet for scams, for distributing scholarships to fraud students, there is budjet for SC, STs to distribute lot of money in different ways, there is budjet for sadbhawna in J&K and for other states there is budjet for political advertisements……. and many more. But there is no budjet for defence…..
You are absolutely right Sir, I must compliment you for that. 1. Poor (diminishing) Physical, Professional and Moral Standards of Triservices esp Army. 2. High level of Corruption in certain Services like MES, Procurement of Medicines, Supply Services, Tendering of Ordinance Privided Items to name a few. 3. Increasing Offr Men gap. 4. Drastically changing behaviour of young soldiers towards their superiors. #Ex GOC in C ..
To start let me compliment the COAS for atleast attempting to bring about a paradigm shift in the thought process. Budgetary constraints are a major player in futuristic planning. Has the def min/secy given the green flag to COAS is neither known to Gen Panag and us and it is on Know to basis and cannot and will not be made public. Many of us in this very transparent army know each others contribution and the lesser said the better it is. Lean,mean and thin fighting machine, is what the Indian Army should strive to be. Perfecting itself to operate in all terrains and in all kind of operations. Speed,max impact and flexibility is the key. Margins are jingoism and hyperbole we need to make that soldier on ground to believe that he is the best. I think that’s what the COAS believes too. Criticism is okay. But what is the contribution of Gen Panag whose thrust was only BPET/ PPT and photos of Offrs from all angles . Let the Chief do what he feels right , the way we all have done without appreciating any interference from previous commanders. One thing for sure out criticism will not change the mind of the Chief. You and me have done our bit and let the present lot do what type feel is right , unless asked for our views. Gen Panag is just a good old soldier who made it to three star rank. Lot of wooly thoughts, with little substance. Gen Rawat must understand that the downsizing of the Civilian cadre is required desperately. Take a walk outside South block and Sena Bhawan during winters. You can see a hundred odd civilian employees from these offices sitting outside and basking in the sun. Twenty percent civilians are redundant because of zero output. Ask a Dir/DDG, the poor guy is dependant only on his uniformed clk who works overtime w/o any complaint. Serious study is required to downsize the civilians from AHQ cadre and other organisations in India like DRDO, Ordance Factories, Base Workshops and MES etc. I personally believe that 50 odd thousand posts can be removed w/o affecting the existing output. Of the ministry. A structure that has stood the test of time can only be contemporised and not broken down because Babudum wants it. I think indian army belongs to indian. I am proud to be an indian hence army belongs to me all the indians. I do not know about the author. Till when our borders will remain volatile? All being nuclear players is all out war a real possibility? Can the adversary overrun our hinterland and occupy territory or mostly the war will remain limited to border? Is border management the only issue needing attention or role beyond borders is also any larger consideration ? As a lay person perception, manpower decisions should be apparently dependent on above questions and therefore Govt must be seen in the forefront of such decisions and not any service Chief . Reforms just to downsize the forces just due to budgetary constraints are not required for a country like India which has historically unfriendly neighborhood. Instead of this, the fast acquisitions of modern hardware without red tapisms must be the priority. The Print is advising the general as if the blog writer is an expert in defense. The Print should desist from advising the army and rather spread positive news for the readers. News with leftist orientation will be discarded and rejected outright. Even the USA with all its Technology came unstuck due to manpower constraints and not having the capacity to sustain “boots on the ground” in both Iraq and Afghanistan. Their impending pull out negates the very raison d’être for US Intervention in both these countries at a high cost in American lives, wherein the ISIS and Taliban will stage a comeback and renew the use of the soil of both nations as a base for Anti US Terrorist Operations, denial of which was the justification for invasion and regime change in the first place. Just so, we with our Highly Mountainous, Riverine and Jungle covered borders with two implacably hostile countries viz China and Pak and active Insurgencies in J&K and NE, require a manpower heavy approach to guarding our borders. Cadre restructuring is never driven by the need for Budgetary cuts which I suspect is the driver behind this “Reform” if one can even call it that. In the process, we will end up losing one Lakh troops without any High-Tech offsets in lieu. As for preparing for the next war …….maybe the General should focus on winning the current one. By all accounts in J&K, Sikkim and Ladakh we are on the backfoot vis a vis China and Pak and are worse off in Valley than at anytime since 1989 in terms of control of Law and Order or the Insurgency. What Gen Rawat is doing is blowing his trumpet in the air .Gen Panag has rightly brought out any reform can not be army specific All the three services must be covered and it should be a joint endeavour.The government must be involvedand must extend its approval .Otherwise at best it is an academic exercise .